its been too long since I’ve posted. Life and the Tour de Fleece have kept me busy. Visited the All-Indian Center in Wichita, Kansas again today. It’s such a peaceful place. I took my spinning and sat in the lobby happily spinning to some lovely Native American music. 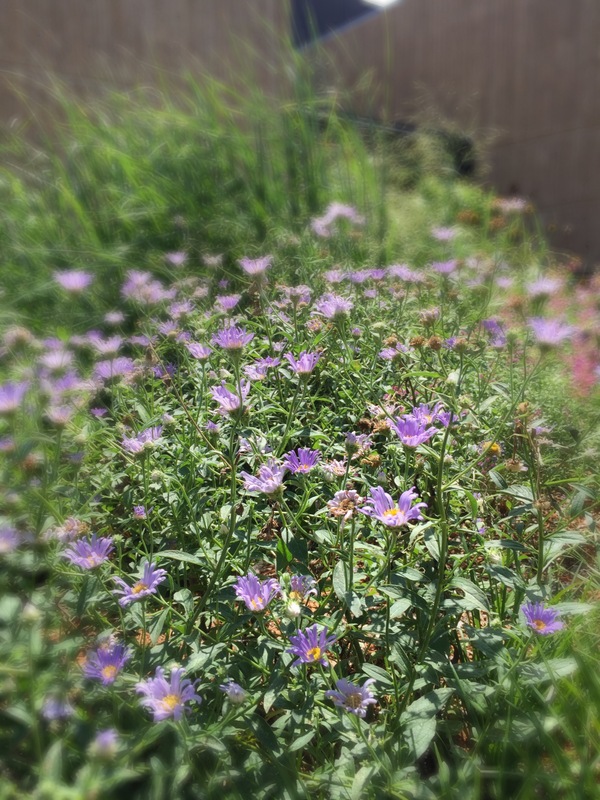 They have a couple of patches of wildflowers outside the entrance. 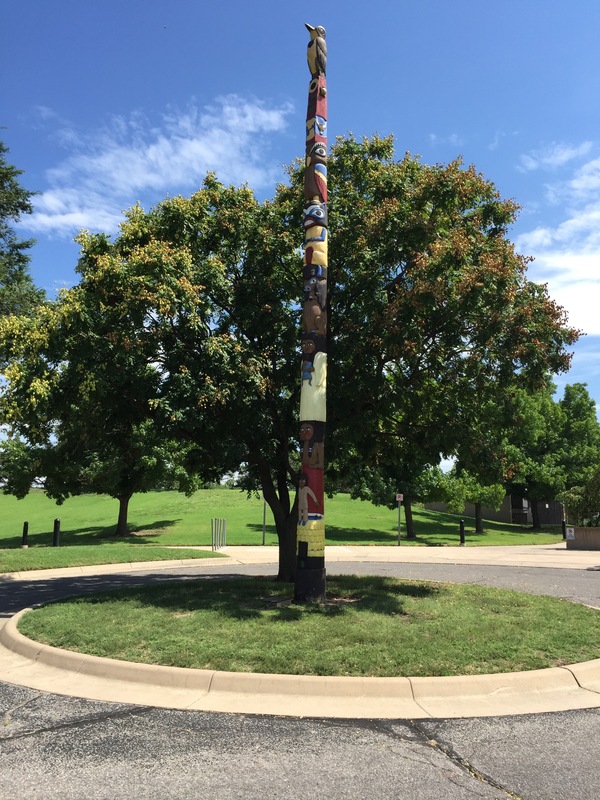 …and a totem pole that tells the history of Kansas. Just beautiful. Yesterday, the temperature was in the low 100s; like a furnace. Today felt downright bearable in the 90s by comparison. Too hot for my taste, but there was a breeze. I’ll be glad to get back East tomorrow.